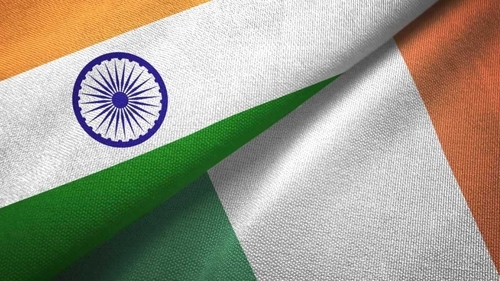 The Ireland India Business Association says at least 27,000 Indians are living in Ireland and many of them will be eligible to vote in the Indian general election which began today either through the Indian Embassy here, if they have pre-arranged to do this, or by travelling home. Schools in India have now closed for their summer holidays and Ella NilaKanthi Ford, head of the Ireland-India Business Association says a lot of people here will now take this time to travel home to visit friends and family and to vote: "There will be a lot of people travelling, in fact there are a lot of people from our Association not available at the moment because they're away." She says the complex voting schedule is published around nine months in advance, so people will know when their State is voting and can make plans. Ms NilaKanthi Ford says the Indian community in Ireland keeps a close eye on any developments back home: "The culture is family oriented, it’s very similar to the Irish culture." Many Indians living in Ireland work in technology, agri-business and aviation, which she says are the growing areas of trade between the two countries. Last year India's exports to Ireland were worth €560 million whilst India's imports from Ireland were worth €327m. It is estimated close to 3,000 Indian students are also studying in third level institutions in Ireland. At the end of last year, Indians were the fourth largest category of people given citizenship here, behind Poland, the UK and Romania. People will also be keeping a close eye on India's economy and what impact any change of government would have there. Ms NilaKanthi Ford says: "There is always interest in elections, particularly in the business community because the impact of a new government will change so much legislation so people will be gathering on May the 23rd to see what the results are." And she says that out of the massive 900 million people eligible to vote, 130 million of these are new voters which means it is difficult to predict the outcome with any certainty.